Injuries derailed what was the start of a promising third season for Green Bay Packers receiver Geronimo Allison. The Packers placed Allison on injured reserve on Tuesday, likely ending his season after only five games. Allison injured his groin during last Thursday’s practice and is scheduled for surgery with core specialist Dr. William Meyers. He stayed in Green Bay this past weekend and missed Sunday’s loss to the New England Patriots. Coach Mike McCarthy said Monday that Allison is dealing with a “pretty big injury.” He confirmed Allison met with core injury specialist Dr. William Meyers on Monday morning and surgery is an option. Earlier in the season, Allison suffered a concussion and missed the Packers’ loss to the Detroit Lions. He later injured his hamstring and missed a second straight contest, a Packers’ win over the San Francisco 49ers. In his five games, Allison produced 20 catches for 303 yards and two touchdowns. Allison will have to miss at least eight weeks, meaning the earliest he could return – if designated for return – would be in the playoffs, if the Packers qualify. At the very least, Allison’s regular season is over. It’s a tough break for the emerging young receiver. 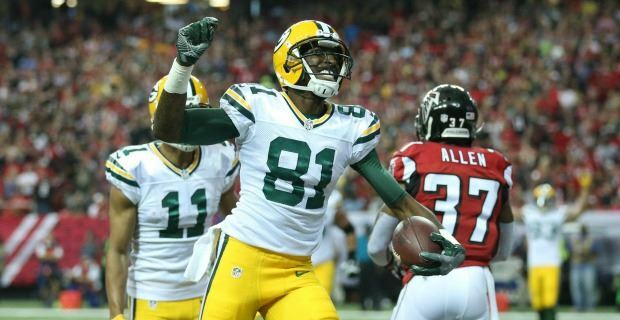 He produced 60 or more receiving yards in each of the Packers’ first four games and was developing into a trusted target for quarterback Aaron Rodgers. Allison’s absence will solidify a starting role for rookie Marquez Valdes-Scantling, who has emerged as a big-play machine over the last four games. McCarthy also revealed right tackle Bryan Bulaga avoided a major knee injury and cornerback Kevin King will be “hard pressed” to recover from a hamstring injury and play Sunday against the Miami Dolphins. Allison, 24, will be a restricted free agent after the 2018 season.